The British Cleaning Council (BCC) has today (March 19th) published the most comprehensive research into the UK’s cleaning industry it has ever undertaken. For the first time the BCC has also broadened the scope of its research to include data from across the cleaning, waste management, landscaping and FM sectors. Combined the BCC has calculated that these industries contributed £49.9bn to the economy in 2016, while the number of employees totalled 914,000. The report further reveals that between 2010 and 2018 there has been a 38% increase in the number of companies involved in cleaning, waste, FM and landscaping services, rising from 45,970 to 63,490. With the potential impact of Brexit still uncertain, the BCC’s research also highlights that while 19% of employees working across the four sectors are foreign born, this rises to 28% within commercial cleaning. The BCC’s research – which is broken down by individual sector as well as reporting on the collective figures from across the cleaning, waste management, landscaping and FM industries – also captures data relating to differing wage levels, skills and qualifications, business survival rates, regional differences, job roles and training. In addition, it looks at wider issues such as health and safety, the Labour Market Enforcement Strategy, business rates, technology and the environment. Stan Atkins, Chair of the BCC, said: “With over twenty different trade and membership organisations within the Council that cover every facet of the cleaning, waste management and FM industries, we have decided to widen the scope of our research. However, we have also broken the data down to highlight each sector’s specific employment profile and its contribution to the UK economy. “What the report reveals is that regardless of which sector you are involved in, there are fundamental challenges facing everybody. “For example, we have calculated that tens of thousands of jobs are set to be created over the next few years but that we are also expecting a chronic shortage of people prepared to take them. Furthermore, as people retire from the industry, we are also losing a wealth of skills and experience. 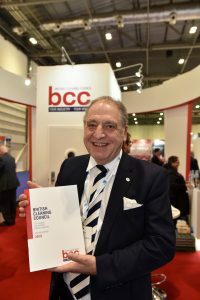 The BCC report was published to coincide with The Cleaning Show, the three-day industry expo at London’s Excel exhibition centre which the Council co-produces.